Solar Panels and Electric Cars: Can it be the future for Taos? Taos, New Mexico claims to be the “Solar Capitol of the World”, but do we really live up to our nickname? Renewable Taos organizer John Gusdorf explored the possibilities for solar energy and electric cars in our community. Teens listened intently as John explained the amazing technology behind solar panels and electric cars, and also the limitations that can stall renewable energy initiatives. Later, the teens engaged in a lively conversation about the possible future of energy, what their generation wants to see, and their role in propagating a “brighter” future. SE is radiant light and heat from the Sun that is harnessed using a range of ever-evolving technologies such as heating, photovoltaics, thermal energy, architecture, molten salt power plants and artificial photosynthesis. It is an important source of renewable energy and its technologies are broadly characterized as either passive or active, depending on how they capture and distribute energy or convert it into power. Active techniques include the use of photovoltaic systems, concentrated power and water heating to harness the energy. Passive techniques include orienting a building to the Sun, selecting materials with favorable thermal mass or light-dispersing properties, and designing spaces that naturally circulate air. The large magnitude of solar energy available makes it a highly appealing source of electricity. An electric car show! 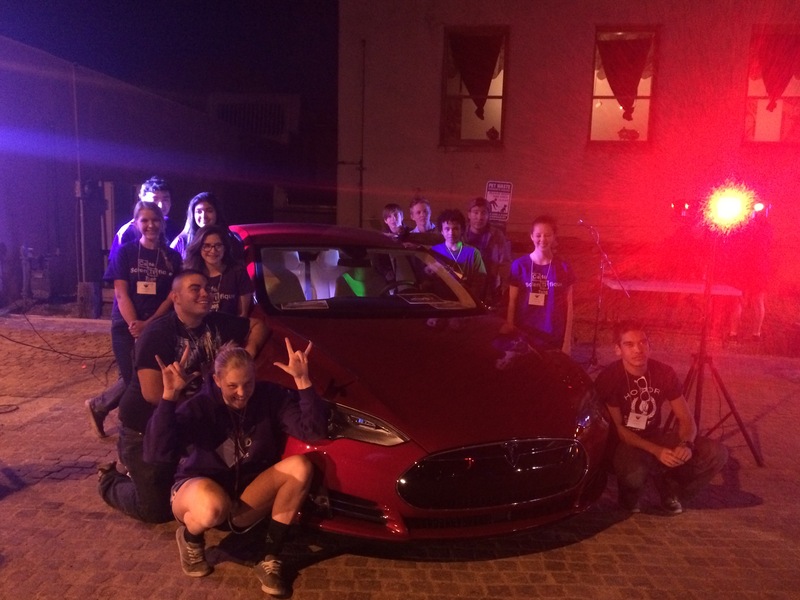 With the help of a local lighting expert we lit up Taos plaza like a showroom and had five cars on display – a Nissan Leaf, Chevrolet Volt, Kia Soul EV, Ford Focus Electric, and even a Tesla Model S! Teens got the opportunity to look under the hoods, see the technology first-hand, and pretend they were the drivers! 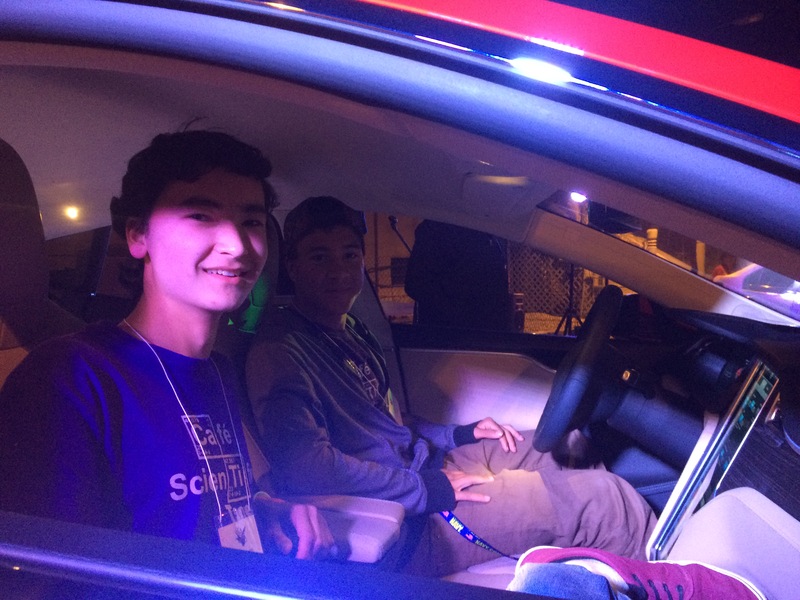 Tesla provided key chains for all participants and each car owner got their own Café Scientifique t-shirt for their willingness to show off their fabulous cars!